Home » Senior-Friendly Tech » Computers and Phones » Best Tablets for Senior Citizens That Are Easy to Use and Easy to See! 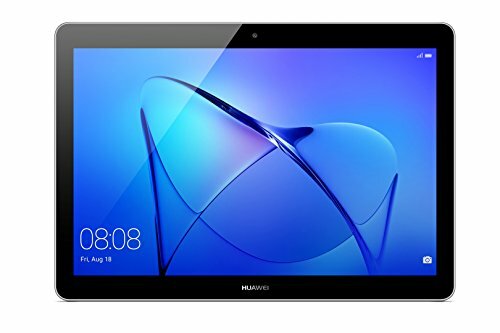 Best Tablets for Senior Citizens That Are Easy to Use and Easy to See! Tablets are versatile devices that can perform a large variety of tasks while being portable and easy to use. This is particularly true for elderly people. But finding the best tablet for senior citizens is often a difficult task. Tablets are very helpful for seniors and the elderly. They can talk to their family, take and look at photos, write e-mails, browse the internet, read books, listen to music and much more. And what’s even better, many manufacturers offer some accessibility features which allow you to change the settings to best suit your needs. Many seniors encounter problems while trying to adapt to new technology, especially touch screens. They simply aren’t used to this type of device, and it can seem confusing and intimidating. This is avoidable if you know what to look for and buy an elderly friendly tablet. Perhaps the most important things to consider is ease of use and visibility (screen size), which we’ll talk about more in the buying guide. But first, take a look at some tablets that offer great features and can be a very good choice for seniors. Here are my recommended tablets for seniors. Keep reading to learn more about each of these tablets or how to choose one for yourself! We start with a well known product, and this is one of the latest models. It has a 9.7 inch screen with a Retina display which gives you great colors and visibility. It’s very light and thin, so seniors won’t have any troubles holding it in their hands for a longer time. You get this product with 32GB of storage – more than enough for most people. The iPad has two cameras which are pretty good for taking photos and making video calls. When fully charged, you will have about 10 hours of battery life in active use. The performance of this tablet is exceptional. While it isn’t function packed like the iPad Pro, it works like a charm for everything a basic user needs, without any unnecessary complications. This is why it’s one of the best senior tablets available. Many options are available to make it easier for seniors like increasing the font, screen magnifier and text-to-speech function. The screen reader on iPad is probably the best compared to other tablets. People are very satisfied with this high-quality product. Many people bought it as a gift for their elderly parents and relatives, and have only nice things to say. It’s straightforward, the functions are easy to use and the screen is fantastic and very large. It has nice features and sharing options to easily connect to other devices too. You really won’t be wrong if you choose this product. 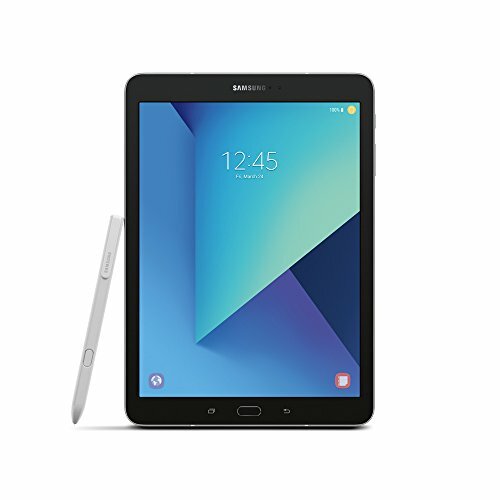 Samsung is one of the top manufacturers of Android devices and the Tab S3 is one of its most popular models. It’s a fantastic, versatile device. The 9.7 inch Super AMOLED screen shows everything vividly and in great detail. Even though it is a bit pricey, the hardware you get for your money is exceptional. It’s performs multitasking with ease, and you won’t experience any delay. In the package, you will get an S-pen which can help many seniors use the touch screen more precisely. If you need it, Samsung also sells a keyboard which is easily connected to make this into a proper small computer. Another upside of this tablet is that it’s very loud and has quality sound, a thing many elderly can appreciate. There are numerous users of this tablet and the impression is very positive. Seniors are very happy with the device, because the flow is incredibly smooth and the screen is fantastic for reading and watching videos. However, some people have pointed out that the setup was a bit difficult in the beginning so that it’s fully senior friendly. But afterwards, everything works excellent. The Mediapad T3 is an Android tablet but upgraded with the highly intuitive EMUI (user interface) from Huawei. The purpose of this interface is to make everything customizable and simple to understand. It has a Smart app feature that allows you to control which apps will be available to use, which can be particularly useful if you’re setting it up for a senior family member. You can also set up content control if you need it. When it comes to dimensions and hardware, they are pretty good. This tablet has a nice-sized 9.6 inch screen, which shows everything perfectly. The body is completely made from aluminum, which increases the durability of the product but some people feel that it is a bit bulky when you hold it. The battery is possibly the best one in our senior tablet reviews (4800mAh), which will last for days between charges if you are a moderate user. However, it takes a few hours to fully charge. There are many satisfied customers who have tried this tabled. Huawei is building up a reputation of making quality products for a decent amount of money and people are recognizing that. They say that it has a nice flow, a quality feel in your hands and that the customization options are excellent. It’s probably the best value for money. Fire tablets run on Fire OS (based on Android) but have some advantages compared to other Android devices. Amazon includes their own apps and services to make the user experience even better. So you get the Alexa personal assistant, Kindle e-books, and many other things. It’s very user-friendly and easily tailored to your personal needs. This tablet comes with a high resolution 10 inch screen. There are also 7 and 8 inch versions available. You can choose between 32 and 64GB of internal storage, and like on most Androids this can be expanded if you need more. You also get Dolby stereo sound, which really improves the overall experience. One thing that senior users like to point out is the Alexa assistant. It’s very simple to use and talk to, and makes using the tablet considerably easier. The screen is also exceptional, and the icons are easy to see which is a plus for people with weaker eyesight. It’s probably the best tablet for elderly users who like reading books because Kindle works excellent. This tablet for the elderly is something completely different. It’s made with the most simplistic design possible for people who are over 75 years old. Everything is only one touch away, with large icons for voice calls, voice e-mails, games, and music. There is also a great customer service which is available all the time by clicking the help button. Also, there are companion apps for iOS and Android you can install on your phone and always stay connected and be available to your senior relative. What’s interesting is that you’re not buying the product, you’re buying the complete service (and renting the tablet) for a monthly subscription. This tablet is basically a Nexus 7 tablet but it’s heavily modified for seniors. Included in the package you get a charging dock, meaning you avoid using chargers and cables. The manufacturer has installed a permanent 4G connection so you don’t have to worry about wi-fi anymore. Also, there is a stylus pen for easier navigation and a case for protection. The tablet is completely insured against theft and damage so you have nothing to worry about there either. Users who are not very good with technology quite like this tablet. It’s straightforward, functions are easy to use, and you are online everywhere, not just at your home. However, it doesn’t have a browser, and it blocks incoming calls from unknown numbers which can be a downside for some people. Anyway, this is a good idea for people who resist trying other products and have difficulties learning how they work. When choosing a tablet for seniors, there are some additional things to consider which you otherwise wouldn’t think about. While some elderly people are very adept at using technology and can learn just about anything, most people prefer if their new device is very user-friendly. It must be easy to use so that you can find the home button, certain apps, and other functions without problems. Some products also come with easy to use keyboards and styluses, which can be useful to write e-mails faster and to use the touch-screen more efficiently. Screen size is also very important. That is the reason I chose products with large screens in the review section. It may be necessary for you to wear glasses every day, but you shouldn’t be additionally straining your eyes when looking at the screen. Besides being large, it’s useful if it has vibrant colors and contrasts to see things clearly. On the other hand, a larger screen means that the device itself is bigger. This can make it difficult to hold. You should pay attention to the overall weight of the device, especially if the user has a problem with their hands and joints. As a great addition, you can buy an anti-slip case which makes holding the tablet easier. Some cases can also change shape to allow you to prop the tablet on your table. This can significantly reduce the straining of your hands. Another thing you should consider is storage. Many people enjoy having pictures of their friends and loved ones a few clicks away. So it’s useful if a tablet has a camera and enough room for all these photos. While performance is not top of the list when it comes to seniors, you should choose a reliable product which can do the things we mentioned without blocking and causing problems. Finally, the battery life should be long to avoid having to recharge your tablet all the time, which some seniors find very annoying. There are a few differences between operating systems these devices use. While both allow fantastic accessibility options like screen reader, screen magnifiers, large font and inverse colors, some elderly people may prefer one over another. 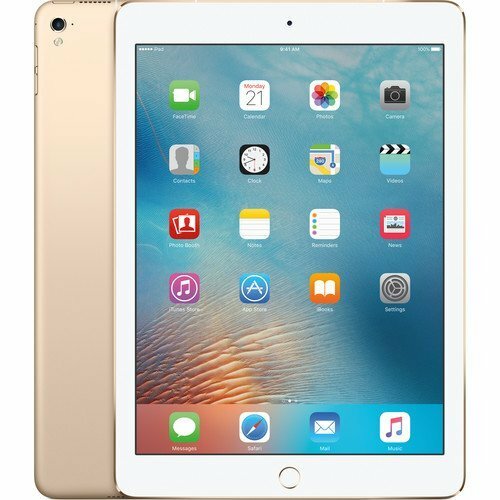 The iPad is a single product made by Apple, while Android is a platform used by many manufacturers so you can get a wide array of different products using the same system. This being said, the iPad concentrates on simplicity and efficiency, so if you want something you can use out of the box without additional configuration, this is perhaps a better choice. Seniors find the interface easy to use, and it generally requires less time to get used to compared to Android devices. Another upside is the app store. Apple controls these apps more carefully so there is less worry you will download something that will be harmful to your device. However, there are a few downsides. While it is simpler to use, the iPad offers less customization for particular needs. Also, you can’t expand the storage and the device is a bit expensive. While there are many Androids in the same price range, you can get some Android tablets (some examples were in our list) for almost half the price. This is also worth thinking about if budget is your concern. The Android platform can be found on many different devices. Some of them have a basic system, while other manufacturers include their own user interface as an upgrade. You should look into user experience for each individual product before choosing to buy. As mentioned, Android tablets can be a bit confusing right out of the box. But for seniors who are better at using technology, this type has greater adaptability. However, there is less control going on in the Play store, so you need to be careful what you download. To sum up, both are very good but for slightly different purposes. If your loved one has a very poor eye-sight and needs to use the screen reader all the time, the iPad is a better choice. But if you want your tablet to be able to do more things or perhaps you want to spend less money, then Android is the choice to make. Also, if you already own a smartphone from one group or another, it’s a good idea to buy a tablet with the same operating system because you get nice options to connect the two and exchange data. Why are Some Tablets Difficult for Seniors? Some tablets may feel too complicated to use. We already talked about things that are important for seniors when buying a tablet. To understand this you have to look at things from their perspective. When they grew up, technology like this was non-existent or was different and simpler. They also weren’t exposed to it long enough to completely adapt. Physical interfaces were dominant, and touch screens nowadays offer something completely different. That is why the elderly tend to be cautious when learning these new things, and a simple interface is something that is required. Also, some people find tablets difficult because they can’t see the things on screen properly. This makes it very hard and annoying to use. Luckily, this is also solvable by buying a bigger screen and using the screen reader and magnifier. There are a few things you can do to make the device easier to use for you or your elderly parent. Set the icons to be large and easy to recognize – video calls, messages, photos, music, browser, news, weather and other commonly used apps, and remove others you don’t want to use and don’t need. There are special tablet apps for elderly that can be installed on any type of device, like Oscar App for example. It changes the appearance making it very simple to use. This app also allows you to access the tablet remotely if your parent gets stuck while using it. There are others like it, but this one is free of charge. 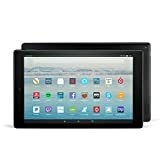 Of course, you can buy a basic tablet for elderly like the GrandPad reviewed above, which by default has very simple and straightforward functions but unlike other tablets you have to pay a monthly subscription for everything to work. Other things worth considering are a screen protector and a case, both for protecting your device and making it easier to hold. Also, you can install a tracking app on the device, which can be useful since some seniors may be likely to misplace it. In conclusion, there is no good reason for a senior to avoid using a tablet. The benefits are numerous, and everyone can learn how to use it. Do you have any experience with seniors and tablets that you would like to share? Please leave a comment below and tell me about it!